Stephens & Gatewood Dentistry offers a wide-ranging scope of services that keeps as many of your dental care needs in-office as possible. We cultivate a patient-focused philosophy with the goal of bringing you top-notch dentistry with convenience, clear communication, and comfort to spare. From general dentistry to oral surgery, the Stephens & Gatewood dental experience strengthens and improves smiles while making them brighter. We don’t just make you look better, we make you feel better—and we teach you about the oral-systemic link to health and wellness. The way your mouth feels each day speaks louder than words can. If you listen to what your mouth tells you, you gain valuable insight into your overall health. We’re here to help keep all our patients’ mouths happy! Preventive care begins with oral hygiene – consistent at-home routines supplemented with regular checkups and professional cleanings with us. Avoiding tooth decay and gum disease is the foundation of preventive dental care. Oral cancer screenings save lives and are part of each checkup. Sealants prevent cavities by fighting tooth decay. General dentistry services alleviate disease and protect your health. We can fabricate custom mouthguards to shield active smiles from dangerous impact and injury. Millions of teeth are knocked out each year playing sports–we want you keep yours! We offer a solution to preserve your teeth when you sleep! Nighttime clenching and grinding lead to headaches, TMJ/TMD and other issues, but a custom nightguard can help. Restorative dentistry is like a superhero for your smile, repairing conditions that can compromise teeth or even replacing them. Tooth-colored fillings mend the average cavity seamlessly. Inlays and onlays preserve the most natural tooth surface. Mercury filling removal gets the metal out of your smile. Bridges, dentures, and partials replace teeth beautifully thanks to our skills and advanced technology. In recent years, bridges, partials, and dentures have become lighter, more durable, and more aesthetically pleasing than they’ve ever been before. These dental restorations can usually besupported by implants for increased security and comfort. Our dentists try to save natural teeth, and one of the most common methods is a root canal procedure. First, the infection is carefully removed from inside the tooth, which is then sterilized, and finally, topped off with a crown. 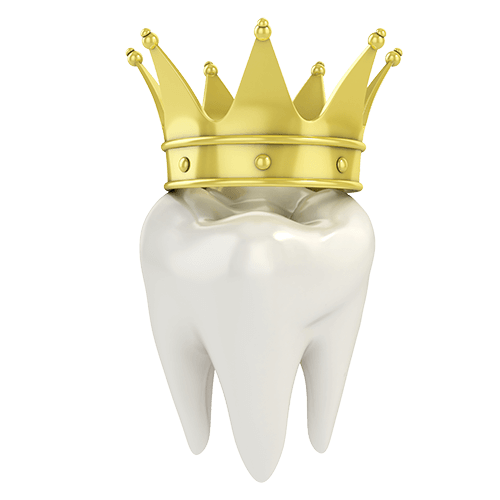 We’re proud to offer same-day crowns—we can fabricate and place a crown in just one appointment! There are no messy molds, no temporary crowns, and no waiting. Fewer injections will be needed to numb the area, if necessary. Our CEREC® milling machine fabricates precisely customized crowns. Same-day dentistry is appropriate for most, but not all, patients. Ask us for details. CEREC technology isn’t just capable of making dental crowns in one day. We can also fabricate porcelain veneers–and all our beautiful CEREC restorations are seamlessly color-matched to your natural teeth. CEREC is CAD/CAM (computer-aided design and computer-aided manufacturing) dentistry. This technology scans, designs, produces and glazes veneers and crowns, allowing the restorations it has made to be placed in one visit. Stephens & Gatewood Dentistry is here for you, and because of you! Come and see us for 100% patient-focused dental care. Hands down and time after time, the most common cosmetic concern for adults and teenagers is whether they have white enough teeth. Choose from in-office and take-home Zoom!® whitening options. Bonding is a durable, versatile solution that repairs and brightens. Veneers are a permanent restoration that transforms your smile. A gum contouring procedure can take your smile from “gummy” to “gorgeous”. Smile Design (also called Smile Makeover) combines restorative & cosmetic procedures to bring you your dream smile. Any restorative or cosmetic procedure or procedures we offer make up an individual treatment plan drawn up by you and our doctors. When you and your dentist map out your customized Smile Design plan together, your treatment procedures will be scheduled step by step that best accommodate your budget, lifestyle, and goals for the optimal smile result you are seeking. Orthodontics aren’t what they used to be. Clear aligners like Invisalign®, InvisalignTeen®, and ClearCorrect® dominate, and we offer all three! No one will know you’re wearing braces—unless you tell them! Clear aligners are removable for eating, drinking, or when you just need a break. It takes an average of one year to achieve optimal results. Get the perfectly aligned smile you’ve always wanted. Since every dental situation isn’t the same, clear aligner systems are not the appropriate orthodontic solution for every patient, so we also offer traditional braces. Scientific advancements have led to improvements in the wire and bracket version of braces, too. Traditional braces can help straighten smiles that clear aligner systems can’t. If your dental case requires more traditional braces, don’t despair–Stephens & Gatewood Dentistry uses the latest technology and procedures to make your orthodontic treatment as trouble-free as possible. Dental implants are the #1 tooth replacement solution among doctors and patients alike–secure, permanent, and easy to care for. Single-tooth implants can be placed and restored in-house. Hybridge® is a full-arch permanent dental implant bridge. All-on-4® replaces the most teeth with the least implants. You can care for implant-supported dentures as if they were natural teeth. Teeth in a Day can apply to single implants or multiple implant-supported teeth, but not to the full arch as All-on-4 does. All-on-4 and Teeth in a Day are terms that are often used interchangeably, but they are quite different. Please ask us for details—we’ll be happy to fill you in! Whatever dental service you need—we’ve got this! When it comes to oral surgery, we do just about any procedure a patient would need–and we do it all under our own roof. We extract wisdom teeth, and other teeth if necessary. We place implants (and top them off with a crown after they heal). We can perform crown lengthening to rejuvenate and strengthen gum tissue. Our talented doctors perform bone grafting procedures, which help compensate for bone loss. Bone grafting strengthens the jaw for more successful implant results. Full mouth reconstruction combines oral surgery and restorative procedures using a step-by-step, customized treatment plan to bring back the smile you remember. We’d love to end anxiety and dental phobia for our patients–so we’re proud to offer sedation dentistry. Nitrous oxide (laughing gas) allows patients to drive themselves home. Oral sedation just means taking a pill in advance. Boom! You’re relaxed! IV sedation is available for longer, more complicated procedures. We can help with jaw pain, headaches, snoring, and sleep solutions! Snoring is only a symptom. Sleep apnea doesn’t just compromise sleep, it has adverse effects on your health. Unsuccessful with or don’t want a CPAP? Every doctor at Stephens & Gatewood Dentistry can administer oral appliance therapy. We take emergency appointments—ask for details. We also have some of the most cutting-edge dental technology available to assist us with accurate diagnoses, precise restorations, and the most stunning smiles you’ll find anywhere in all of Texas.